Our sign tells people your property is professionally cared for. 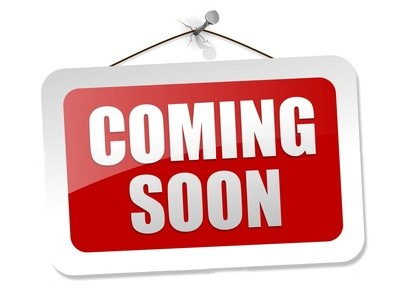 ON DEMAND **** Lawn mowing to Seasonal Height..
Garden edge line trimming, blowing of sidewalk and driveway. Lawn clippings mulched or bagged. Your choice. Raking Extra. On Demand anytime you call: from April 1 to October 31. Pay as you go! NO COMMITMENT. You’d rather entertain than cut the grass, right? This Package includes everything you need so you can enjoy your free time, not spend hours caring for your lawn. Weekly lawn mowing to seasonal height, Garden and edge trimming, blowing of sidewalk and driveway. Monthly driveway and sidewalk edging. Lawn clippings mulched or bagged. Your choice. Contact us about specialized ESTATE services! The "All Year, Pre-Pay and SAVE!" PackSAVE $$ by Pre-Paying for the Year! AYou want to commit for the season, but you probably want a good deal. How about a completely worry free seasonal rate for the whole year? This is for you. Monthly driveway and sidewalk cut edging. From Spring to fall you can count on us each week. Ask us about our over seeding and top dressing services. 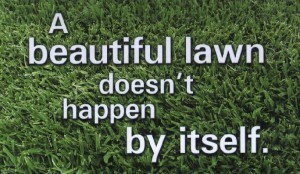 Ideal for an old, tired, or poorly maintained lawn. Moved to a new Property? We can help! The "All Seasons" Fertilizer PackBooking 2018 NOW! PLUS spring, mid summer, and late fall application of Scott’s Premium Fertilizer. Property size determines annual price, calculated by Area used. SCHEDULE by April 1st and save 10%. HST Extra. What does our Fertilization Program include? 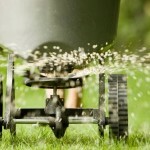 Annual Fertilizing helps build a stronger more weed resistant lawn. The "No Time to Garden" PackWe always have time for your Garden! Worry and work free Garden-Scapes. We do the work and you enjoy the result. Lawn and Garden Review, WEEDING, Dead head annuals, perennials, and seasonal garden pruning, Hedge Pruning, Perennial Splitting if requested, Garden Fertilizing. Additions Labour hours are extra, and calculated at the end of the visit. The "WORKS!" PackEVERYTHING is included! SAVE on ALL services! Ideal for the discerning Executive or Estate Property owner who wants a Beautiful COMPLETELY WORRY FREE Landscape. Lawn Mowing, Fertilizing AND all Garden Maintenance. EVERYTHING is included! No Wonder it’s the most popular!. Late spring, mid summer and late fall application of Premium Organic Fertilizer. Stand out in your neighbour hood. Package price is catered to YOUR property needs and size. 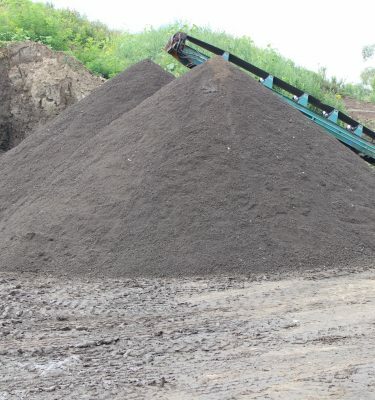 For the property owner wanting more garden appeal, less watering, and a less weeding, we’ll deliver and install a fresh 2″-3″ mulch coverage to match your existing mulch or to match your home (usually shingle colour). This service is priced on an your unique property characteristics due to the wide variation in garden access, layout, and size. We are booking 2018 Spring Services NOW. A 10% Early Booking Discounts Applies (Labour Only) if you book AND pay by April 1st, 2018!!! Request a quote for YOUR unique property for seasonal garden services, lawn care, and fertilizing packs. We’re happy to help! OHS Landscape Group’s Spring Yard Clean Up is a welcome time saver for many home owners and businesses. Our crew arrives once most of the snow has melted and we get right to work cleaning up the residual mess that seemingly appears out of nowhere as the snow goes away. Three comprehensive packages are available to get your lawn and garden on the road to a healthy season. 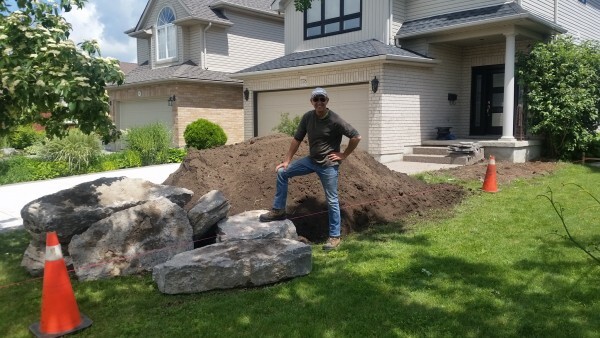 Many homeowners choose the Premium Spring Service as it incorporate many of the necessary elements to give your home the needed “BOOST” Canadian lawns and gardens need after our long cold winter. 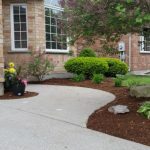 Includes removal of all leaf and garbage refuse built up over the winter, pruning of summer flowering shrubs, tree branch and stick clean up, garden raking, cut garden edge refreshing, cleaning up of left over perennials, and removal of all spent annuals. We will lightly rake your lawn too. This package will have your yard looking ready for spring and summer. We’ll leave you with our “Turf Care Guide” to help you get the lawn you’ve always wanted. From $250.00 for up to 5 Man Hours. Includes all items in our “Standard Spring Service”, but adds aerating to the front, rear, side, and boulevard lawns. We’ll then apply Scott’s premium sun & shade seed mix and starter fertilizer to the entire lawn. This package gives your lawn the head start it needs to withstand seasonal dry spells. De-thatching service is available! Includes the components of our “Premium Service” and ADDS corn gluten fertilizer application (to prevent weed seed germination. We add an application of Fertilizer to your gardens to promote healthy root and foliage development of your plants and shrubs. Then, two weeks later, we’ll return to mow, trim, and edge your lawn and over-seed the lawn area with Scott’s Premium Coated lawn seed and a starter fertilizer. As Summer begins to turn to fall, we take hold of our pruners, rakes, and compost bags and get to work preparing lawns and gardens for the Long Cold Winter ahead. We schedule your fall clean up starting from October 1st (as the leaves begin to fall), and work right until the snow flies. While you’re busy planning your Thanksgiving Dinner, we’re busy in your neighbourhood putting lawns and gardens to sleep. Some clients opt for fall aeration and over-seeding and we’re happy to include these services on an “as requested” basis. We feel that one annual aeration is adequate for most Canadian Lawns. We recommend booking your fall service at the time you pay for your spring service to avoid disappointment due to the limited number of fall packages we can offer with current staffing levels. Of course, booking in advance gets you a 10% discount off our already reasonable rates. Landfill disposal fees are Not Included. Includes a Complete Garden clean up including spent perennials cut back to the ground, dead or dying leaves removed, annuals removed from gardens and containers, shrub pruning, and leaf collection. 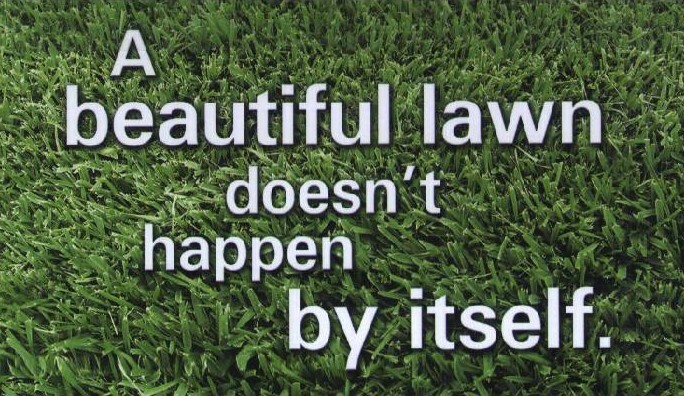 We’ll edge your lawn at the sidewalk after a healthy growing season, and cart away all the refuse. From $250.00 for up to 5 man hours on site. Includes all the elements of the Premium Service but adds these additional components: Fall fertilizer, a second visit one week later for Final Mowing, and a last quick leaf clean up. Corn gluten meal (CGM) is a non-toxic herbicide that prevents plants from rooting when they are germinating. For this reason, CGM needs to be applied at the right time. It is also a good natural source of Nitrogen. CGM can be a fine yellow powder or gold pellets that smell like cereal. The pellets are easier to use on your lawn and are effective for up to six weeks. Unlike the powdered product, the pellets will not blow away upon application or cake when watered. reduces the germination rate for curly dock, knotweed, lambs quarters, pigweed, and plantain. Application time: Best applied early spring, prior to the germination of most annual weed seeds. Corn gluten is NOT effective in the prevention of Perennial Weeds already established in your lawn but is effective in controlling perennial weed seeds prevalent in lawns. We begin with an early spring application of an all in one treatment (10-0-0) containing Nitrogen, Potassium, and Sulphur. Depending on the state of your lawn, we’ll recommend tips and tricks to help you eradicate weeds, thicken your lawn, and keep it green all season long. Our second treatment usually occurs in late spring. (30-0-3) This treatment combined with a Solid OHS Lawn Care Program, helps your lawn to weather droughts, and will keep your lawn healthy throughout the summer months. A final treatment in early fall provides your lawn with the nutrients it needs to strenghtn the root system for the coming winter. A slow release nitrogen concentration will, when combined with your choice of a monthly or annual OHS Landscape Lawn Care Program keep your lawn green until the snow flies and quickly green up when the snow melts away!